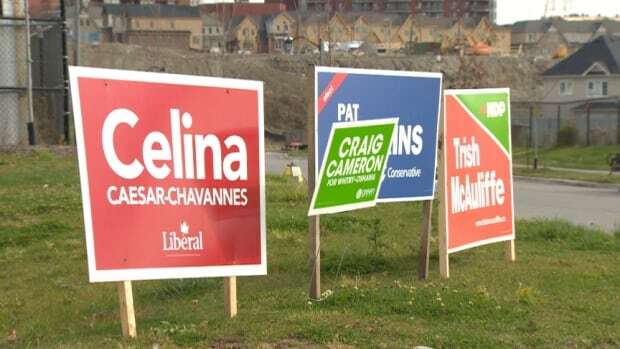 To get your name on one of these signs each of these people had to first be elected by the members of their party to represent them. I have been fortunate enough to live in 5 provinces full time and others on business part time. I have seen a lot in politics and especially nomination contests and the excuse and reasons why they should be open, whether the politicians should be protected etc. My take is that all nominations and the entire process should be transparent. The process to become a party’s candidate is a long one and can last two years or more. It usual starts with a dream and a prospective candidate with a close circle of friends deciding whether he or she should invest the time and the money in making that dream a reality. If they decide yes the start to build a team usually on the qt while listening to see who else is thinking of running. Factors that enter into the decision are amount of potential support, chances of fundraising, whether this is a safe seat for the party and whether if it’s a bellwether or close seat whether the chosen party and it’s leader has a chance to win the upcoming election. In Canada there are 338 Electoral Districts so the nominations are opened ( by the party) a bunch at a time so that the party can manage them. As a rule sitting Members of parliament are opened first on the theory that once theirs is done they can get back to the business at hand or help out in other ridings. When the processed is declared open the candidate fills out the requires questionnaire and submits it to the party together with the required amount of signatures of party members in the EDA he or she wants to represent. From there it is vetted and an in person interview takes place to further access the candidate. Once the candidate is given the green light, memberships continue to be sold in the run up to the cutoff date ( party tells them that when its opened so they can prepare fund raise and sell memberships etc). This whole process can get off track when the party parachutes in their own candidate, protects an MP or boots out a nomination candidate they never should have allowed on the first place. Some MP’s think due to working with their constituents and the big work load they should be protected from a lengthy nomination contest because they are either doing a good job or their nomination foes will have an unfair advantage because they can sell memberships will the MP is in Ottawa working. 1) All politicians know if they win their first nomination and get elected that they are going to have to stand for nomination again if they want to get reelected. This is not a shock. In fact if they haven’t thought the demands of the job and the electoral process through they have no business being there in the first place. 2) If an MP is doing a good job he or she should have no trouble selling memberships locally because they should have both a strong volunteer base to help with this task and yes members should want to help you if they like you.They should also have a strong name recognition given all the previous advertising and mail outs sent to the homes etc. 3) Who decides if an MP is doing a good job anyway? Some people say if they are not the voters will throw them out. The problem with that theory if the MP is in a so called safe seat they will win just because they are that party’s representative. The party members on the other hand get first crack at removing them via the nomination contest and should be allowed to. After all why should we permit an MP who is not good to continue and collect a taxpayer funded pension just because he or she is in a so-called safe seat. 4) Leadership of all parties should realize that the average elector hates news stories about parachuted candidates and rigged or fixed nominations. This needs to stop. All nominations need to be open and transparent. 5) Candidates need to be vetted and tossed earlier in the process. They also need to be given a clear public reason for why they are dumped. All candidates that get dumped say the same thing ” they dumped me but never gave a reason” Perhaps if the candidates that had a questionable past knew the party would release a reason for discharge into the public domain some of them might think twice before running. 6) Parties need to clearly broadcast the date of the nominations to the constituency. Far to often I have heard people feeling ripped off because a nomination was opened with little or no fanfare to help out a sitting MP get it over with without a challenge. Politics needs to be cleaned up and people need to have restored faith in the process. Having open, transparent nominations is the best place to start.